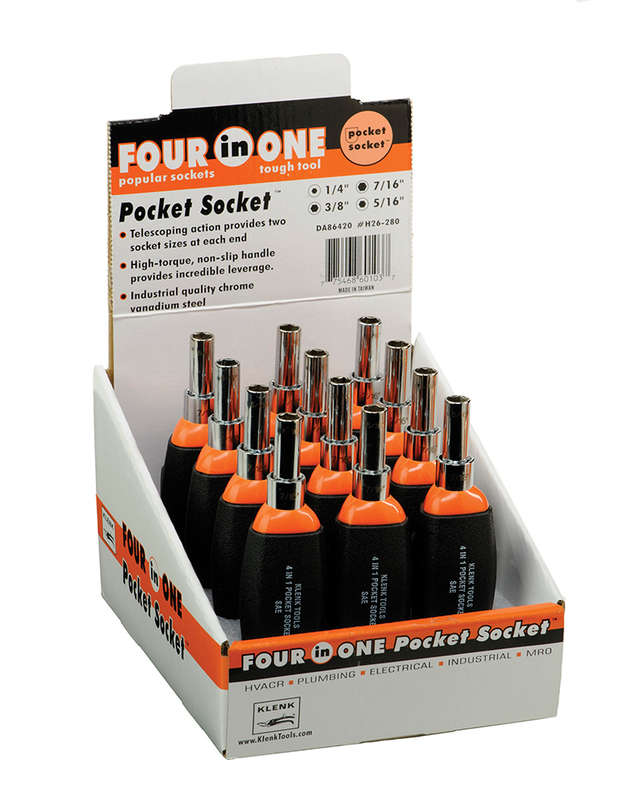 Four popular socket sizes in one tough tool! Solid ABS plastic handle adds durability. Replaces the four most common nut drivers with one tough, yet compact, tool. 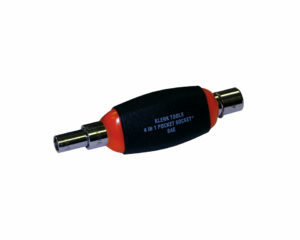 Telescoping action provides two socket sizes at each end. Socket sizes are etched on nut driver. High-torque grip has textured, non-slip surface. Tough, high quality industrial steel construction. SAE socket sizes are: 1/4”, 3/8”, 5/16”, 7/16”. Pocket Socket® is a registered trademark of Klenk Tools, a division of Everhard Products, Inc.